You know spring is just around the corner when there are pretty blossoms everywhere. This past weekend was extremely warm and I definitely took advantage of it with cut outs and bare legs! I love this black and white dress by AX Paris USA with side cut outs and a knot front details. It is simple yet chic, and you can dress it up or down for different occasions. Since the dress is solely white on top, I added a statement jewelry piece to make the plain canvas more interesting. 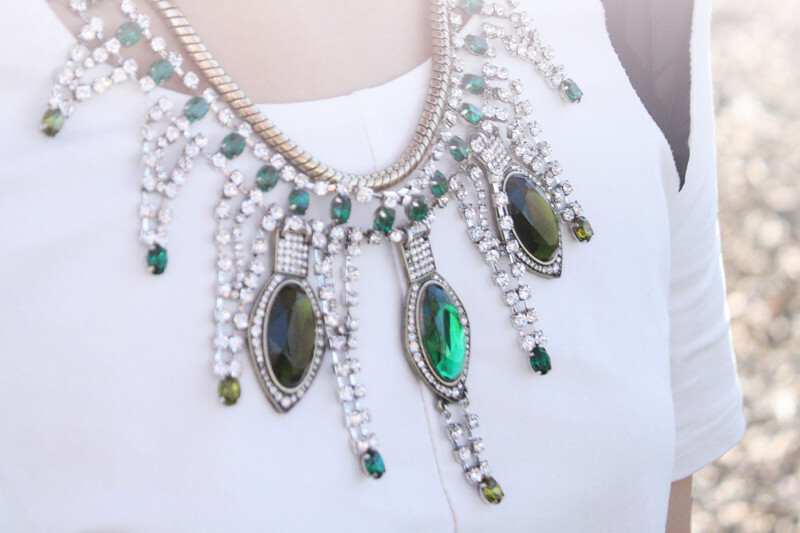 This Absinthe necklace by Lulu Frost is out of this world! It is bold and dramatic, but also very delicate and feminine at the same time. I love anything that have the best of both worlds! Lastly, I slipped on my new Jeffrey Campbell Deetz in patent black for a casual yet put together look. I love how pointy and witchy they look! Cut out monochrome dress c/o AX Paris USA. Deetz in patent black by Jeffrey Campbell from Miss KL. Absinthe necklace by Lulu Frost c/o The Collective. 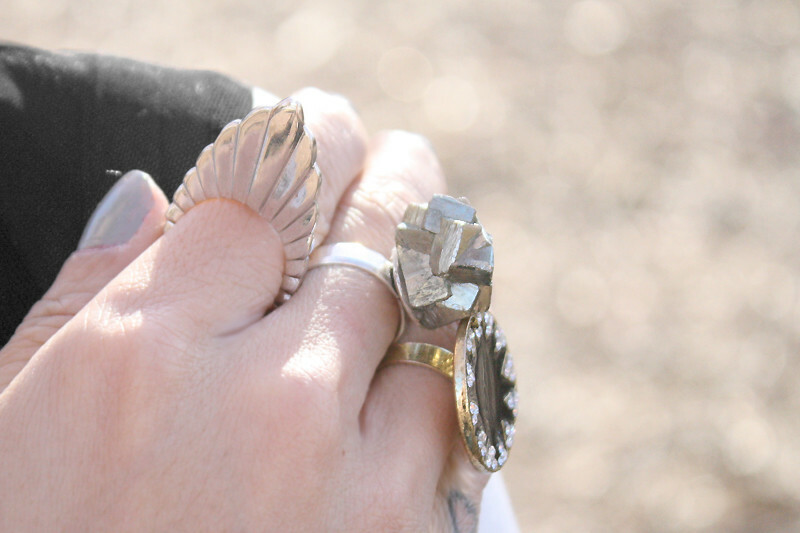 The Luminescence ring c/o Vanessa Mooney. Snake print purse by Street Level. love your cut out dress!!! This dress is wonderful ! that necklace is aptly named!